In this debut collection of bite-size non-fiction and poetry, the author breaks with convention to offer an uninhibited mix of global destinations, writing genres and tone in a single volume. The result is an entertaining and contemporary album of literary `snapshots', perfectly formed for the time-pressed reader. From stories of late-night confessions of `international aristocrats' to impromptu birthday celebrations with the Bedouin in Syria, from poetry about Cambridge cloisters to Amsterdam canals, the author observes old familiar places and friends as closely as new acquaintances and unfamiliar cultures, at home and abroad. 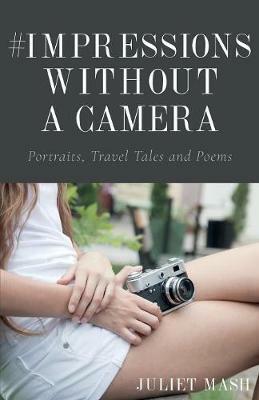 #Impressions Without a Camera is a selection of real-life, `non-Photoshopped' anecdotes and reflections that range from comical to poignant, evocative to illuminating. Together, they bring into subtle focus themes as diverse as the English class system, dealing with loss, and the Middle East's contrasting cultural riches and political struggles. Concise, but without compromise on observation and human detail, this book is a treat for anyone craving more than just a `tag' or queue of emojis during their commute or coffee break. The author invites us to escape, for a precious moment, the confines of our instant `camera phone culture' with a detox of historic context and personal impressions - some aesthetic, some more profound - all without hashtag or filter.